Day 19: Science Under the Sea! This is from Friday, but I didn’t download the photos from the camera until today. 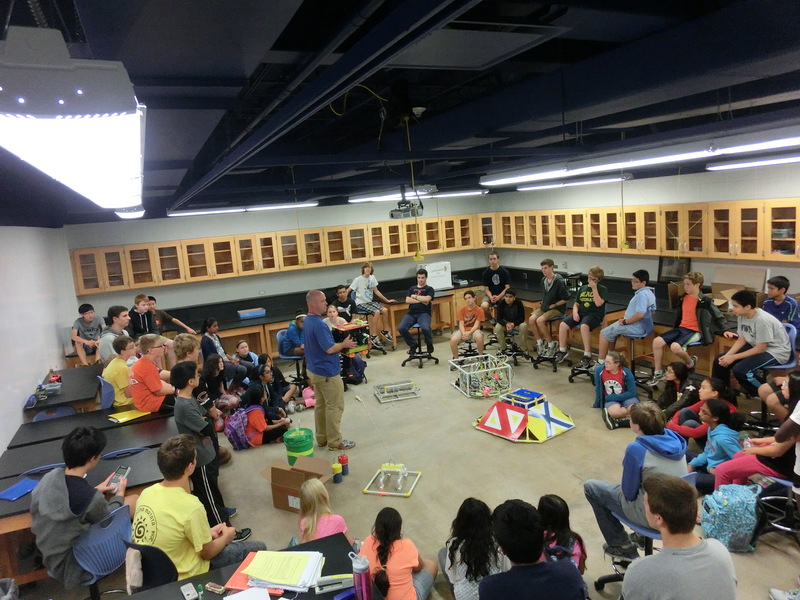 Last Friday, after school, Physics Club welcomed 42 junior high students for a ten-week Science under the Sea project. Over the next ten weeks groups of junior high students with high school mentors will design, construct, and test underwater remote-operated vehicles (ROVs). 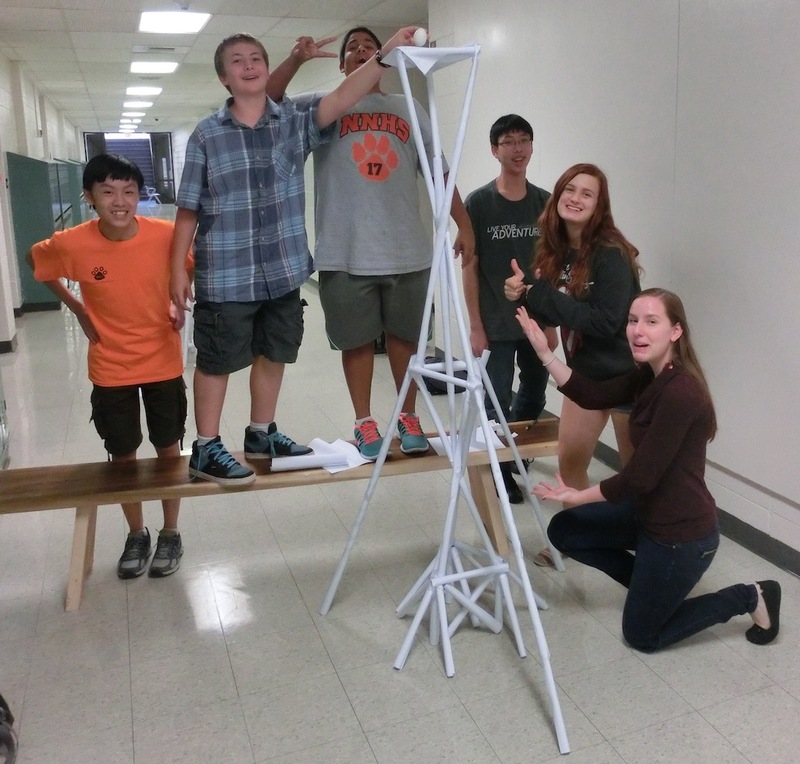 The Naperville Education Foundation (NEF) awarded us a grant that made this opportunity possible. It is going to be an amazing ten weeks for all involved! Posted on 16 September 2013 Leave a comment on Day 19: Science Under the Sea! Today, in AP Computer Science, I introduced JUnit-based unit tests in the BlueJ IDE. 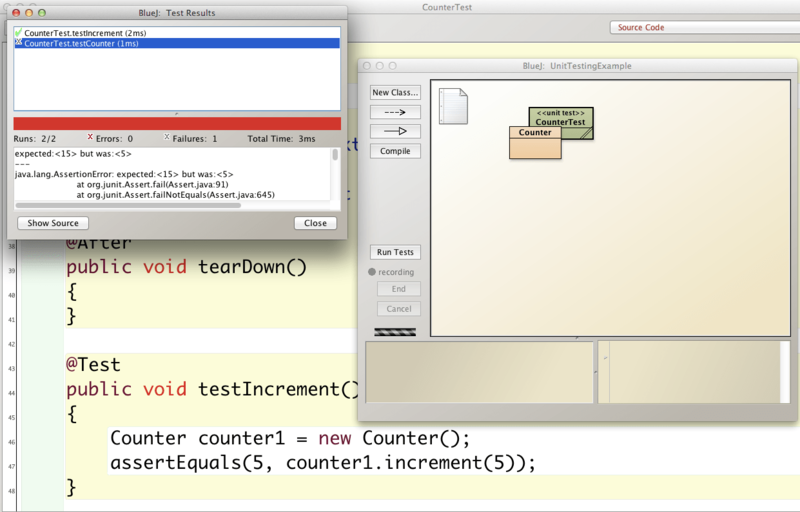 BlueJ makes it very easy to create unit tests and interactively generate test methods. I’m trying to emphasize test-driven development more this year, and BlueJ’s integration with JUnit will definitely help! 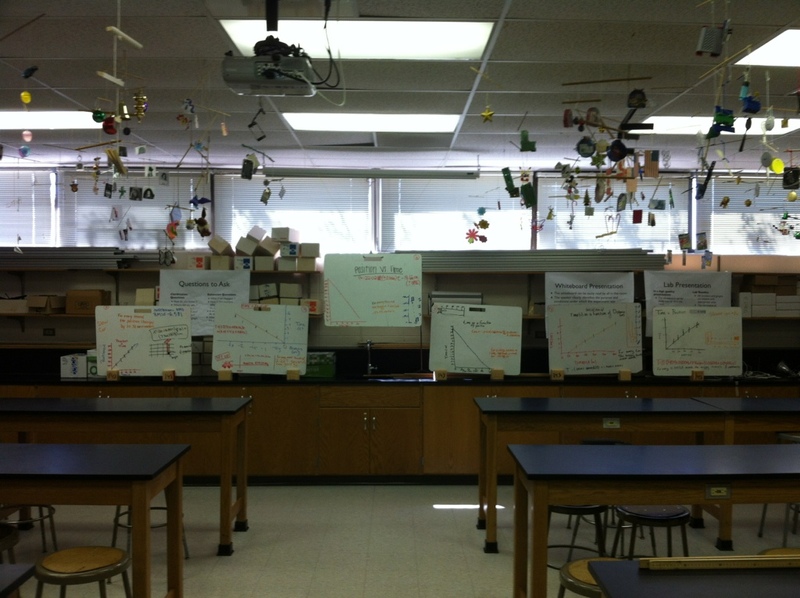 Today groups presented their whiteboards for the constant-velocity paradigm lab. Due to some guidance from me, each group had a different graph to share. By the end of class, we had six whiteboards on display that we had compared and contrasted. 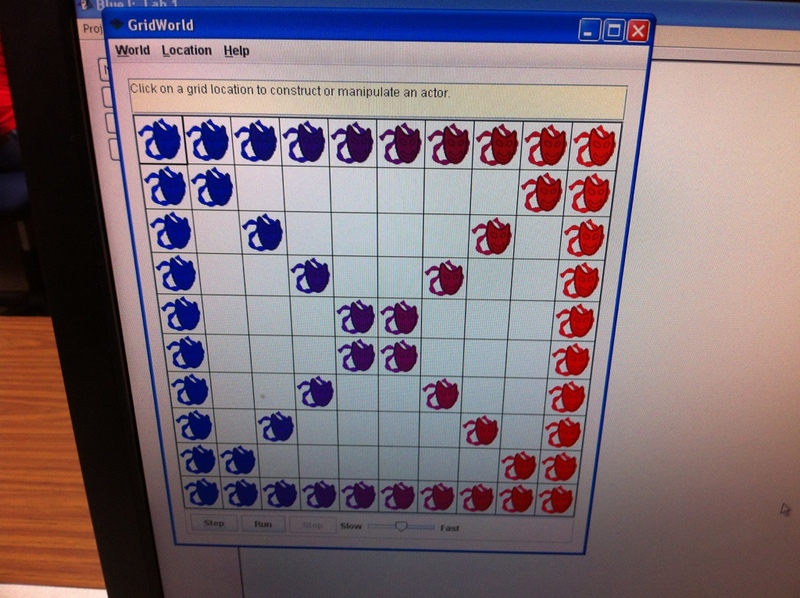 The first summative programming lab in AP Computer Science is to create objects within GridWorld. Students add Actor objects to the world and once they have the basics down, the are free to take their lab in a creative direction. 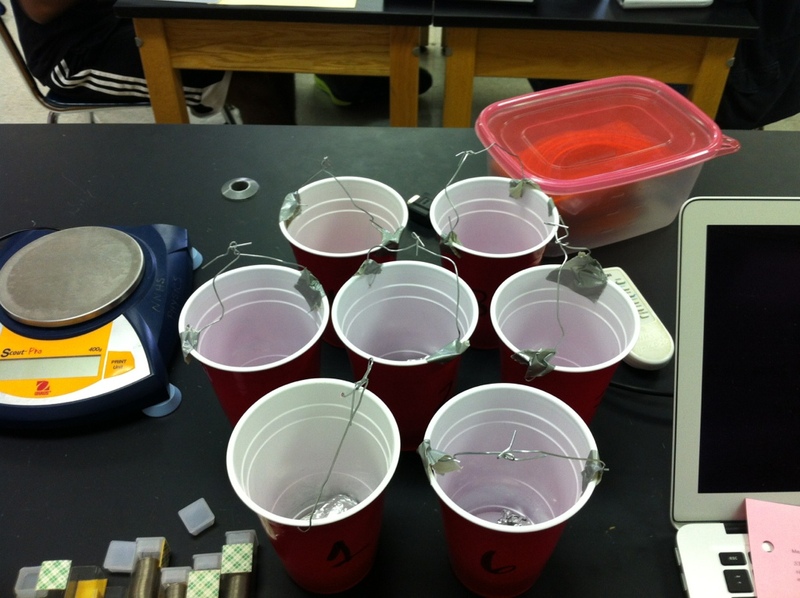 Here’s what one student had by the end of class (he figured out loops). I realize that yesterday’s entry was about measurement uncertainty and was a histogram, but this is too cool not to share. 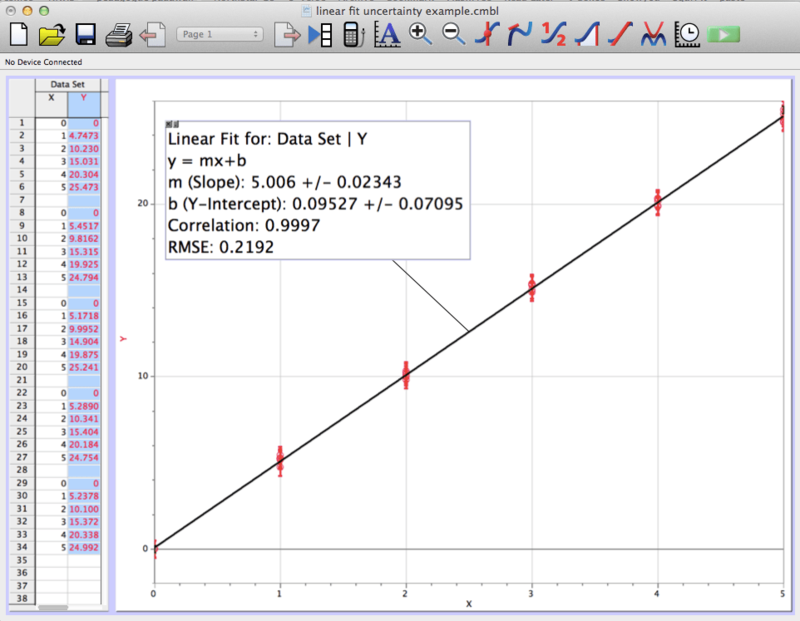 I didn’t take a look at the data for the measurement uncertainty activity involving the elapsed time of a cart on a ramp. When we setup this activity, we gathered all of the data in a single spreadsheet, but we setup two stations (two ramps, two cars, two set of photogates) in a similar manner (same starting position of cart, same position of photogates, similar angle of inclination). The angle of inclination wasn’t set as precisely as I could have set it. 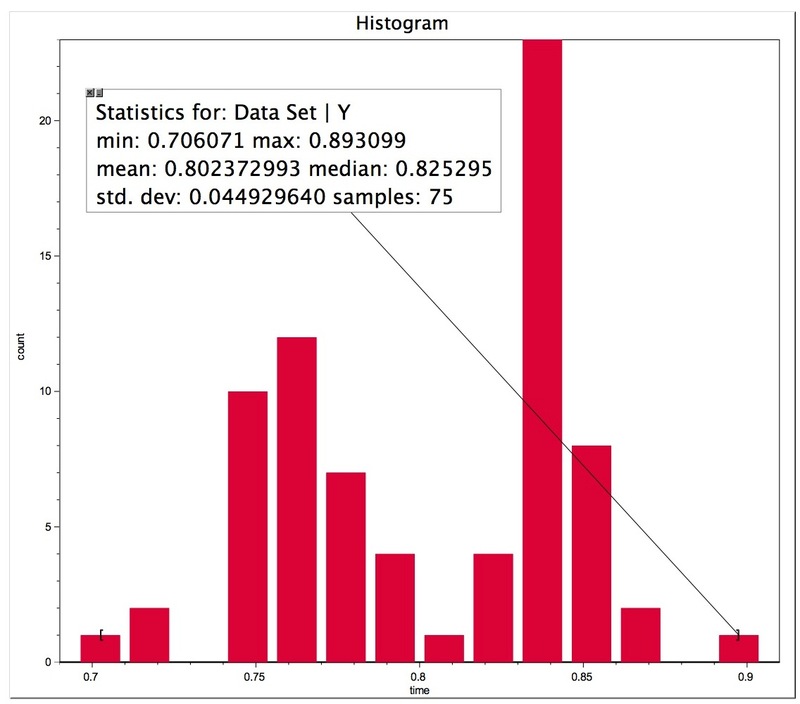 When I saw the histogram this morning and when I shared it with the students during class today, we all had the same insight: each of the two peaks corresponds to the two setups! 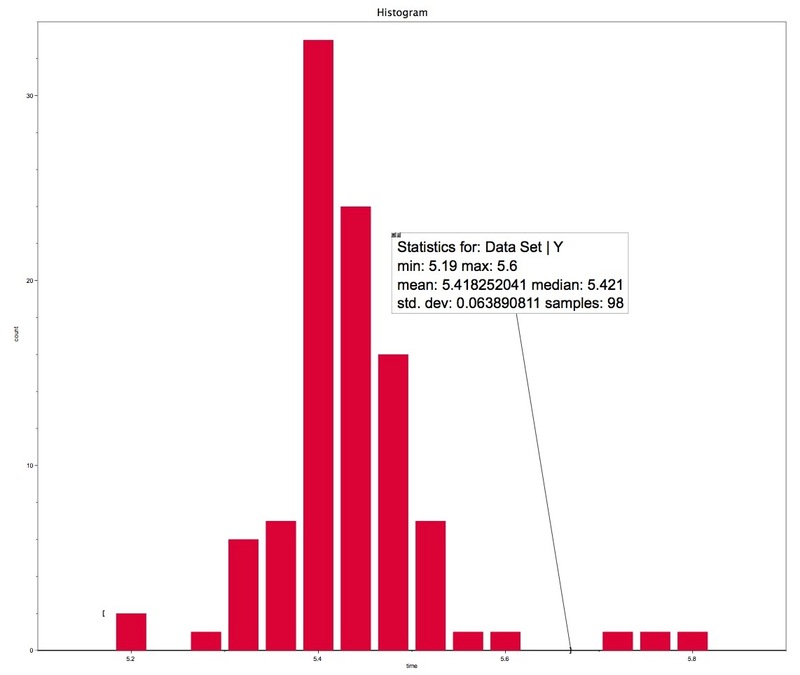 I thought this was an awesome example of the insight large sets of data can provide when analyzed.